How Much Cocaine is Brought Into the US? Cocaine is one of the main addictive drugs used in the United States. Any shortlist of the most popular and most addictive drugs that has plagued our nation’s cities over the past decades has to include this powerful and addictive stimulant. Any efforts to stop the spread of cocaine have to take into account where the drug comes from and how it gets into the United States. If we don’t know where it comes from, after all, how are we ever supposed to keep it out of our communities? One thing that we know for sure is that it isn’t usually produced in the United States. The source of cocaine is the coca plant. Once upon a time an extract from this plant was a key ingredient in Coca-Cola (but nowadays your Coke is guaranteed to be drug-free.) The coca plant grows well in the mountainous regions of South American companies such as Colombia, Peru and Bolivia. The indigenous population of these countries is allowed to grow and use the drug for their own personal use, but countries like Bolivia aren’t doing much to prevent illegal growing operations, either. In addition to recently increasing the amount of coca that native populations are allowed to grow, the president of Bolivia recently expelled operations run by the US Drug Enforcement Agency aimed at destroying the drug trade. Logically, this has led to massively increased cocaine production. You might think that the countries that border these cocaine-producing countries would see the most purchases of the drug, but the United States is actually the biggest consumer of cocaine in the world. Brazil, which borders Bolivia, Peru and Colombia, is actually only second. It might be that the higher average income of US citizens means that we have more disposable income. When other countries don’t work hard to curtail their own drug production, the illegal products head right for our shores. 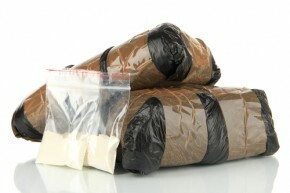 The simplest way to transport a drug is also the best for cocaine producers. Hundreds of tons of cocaine are packaged and put on trucks to make the long journey up through South and Central America and into Mexico. Along the way, drugs and money can change hands many times as the drugs are shipped northward by criminal cartels. Mexican cartels fight for supremacy throughout the Latin American countries so that they can control the incredibly profitable transportation of these drugs. They also fight the governments of these countries as well. If they can make it all the way to the US border without getting caught by the Mexican government, only one last barrier stands between the drug cartels and American cash. That barrier is the US Border Patrol. If no one wanted to buy cocaine, there would be no market for the drug in the United States in the first place. Families and communities that care about the safety and health of their loved ones need to educate young people to never start using drugs in the first place. When someone does get hooked, fast, effective rehab is the only answer to keep drug abusers from spiraling further into addiction.